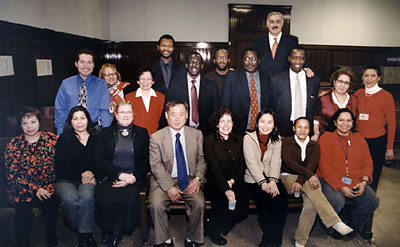 West Central Interpreting & Consulting Services offer skilled and trained cultural competent interpreters and translations for healthcare, social service provider, schools, business, courts and legal services. We believe that professional interpreters should serve non-English speakers and Limited English Proficiency (LEP) individuals with integrity and compassion providing support in communication through an understanding of linguistic and cultural competency. During the last several years, the West Central Region of Minnesota has had a steady increase of New Americans. Willmar, as the hub of the region’s provider of healthcare services, has experienced an increase of patients with LEP. A language access service is necessary for a client with LEP to communicate with healthcare and social providers. It has been a struggle to find quality interpreting services for both the LEP person and the healthcare and social service provider. Although most providers contract for professional interpreter services, most of language service providers are from out-of-town agencies and they lack knowledge of the local Willmar immigrant communities. After consultation with healthcare and social service providers and the local Willmar immigrant community, Abdirizak “Zack” Mahboub has founded the West Central Interpreting Service (WCIS). As a local, homegrown interpreting and translation service provider, WCIS will deliver quality translation services tailored to the unique needs of the West Central Region.